With a height complying with EU standards the system can be used in a wide variety of locations. Component parts are manufactured from synthetic polymer using the unique Boplan patented locking system. 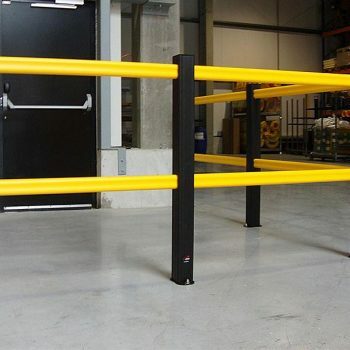 The handrail has excellent aesthetics and is available in a high visibility yellow option. Applications include all locations where a simple, low-cost handrail barrier system is required. The Handrail HD Light & Mezza are based on the highly successful and proven design of the 3 rail Handrail HP Plus. 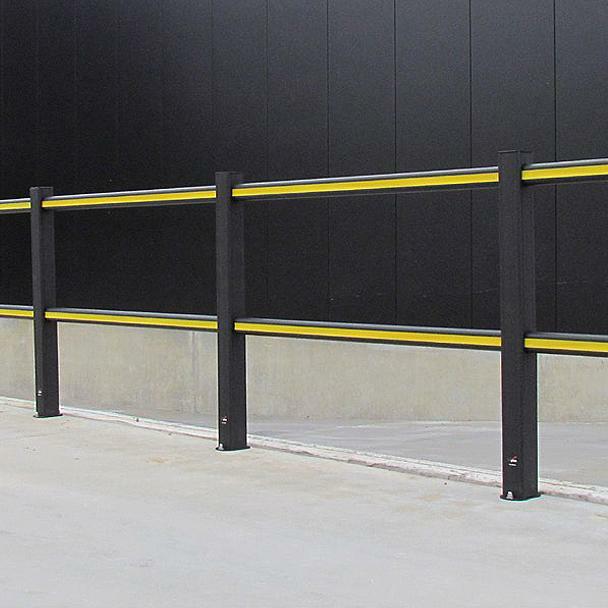 Utilising a smaller post section and 2 rails instead of 3, Light & Mezza provide a low-cost system for use where a physical barrier is required for segregation, access prevention or for fall & edge hazard protection. With a height complying with EU standards the system can be used in a wide variety of locations. Component parts are manufactured from the synthetic polymer using the unique Boplan locking system (patented). 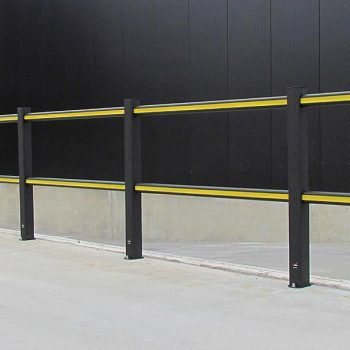 There are no nuts, bolts, screws, brackets or welding used in assembly, offering an assembled barrier free from sharp edges or projections, minimising the risk of contact injury. 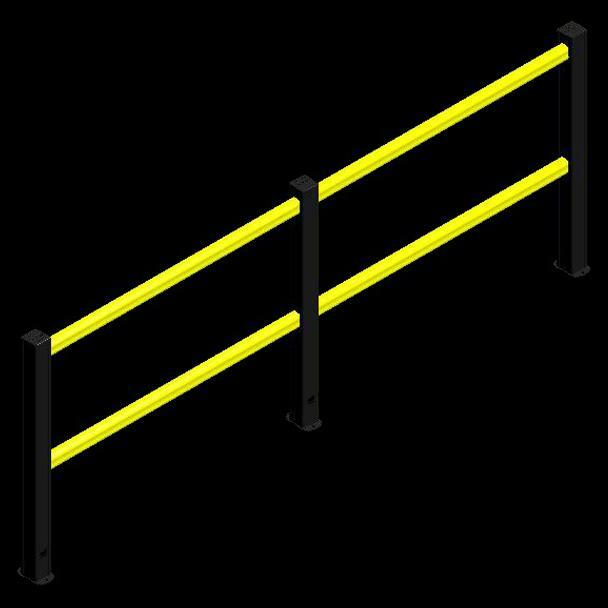 The handrail has excellent aesthetics and is available in a high visibility yellow option. Being impervious to most environmental conditions makes it suitable for all internal and external applications in and around the workplace or commercial premises. The handrail will not rust or rot, nor will it ever need painting as the colour is throughout the product and it’s easy to clean too. Should any significant damage ever occur to any components, modular construction allows for quick, easy & low-cost repairs. 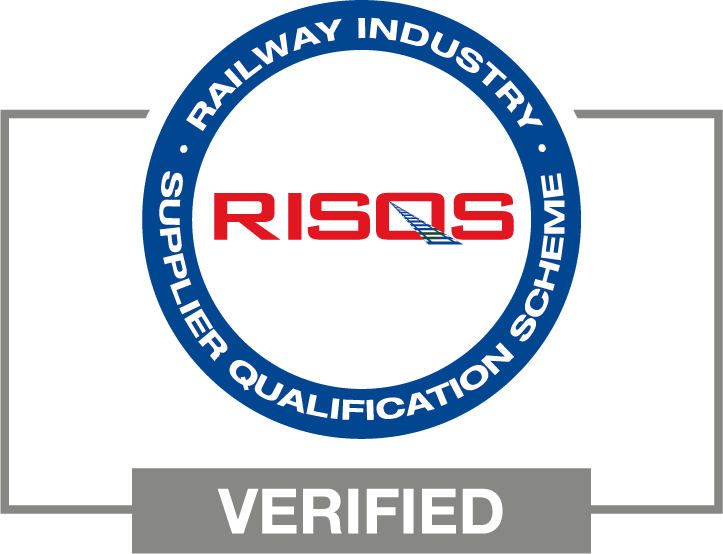 The handrail has been designed and developed to comply with relevant safety standards and regulations.